Trying to find the age of this doll i got.It got a music box in the back of the doll, which can be wind up with a key. The head, arms and legs are hard rubber and the rest of the body are made of material. No hair on the head. Hair is also featured in the rubber mould. The glass eyes open and close, and it seems that the eyes are following you. 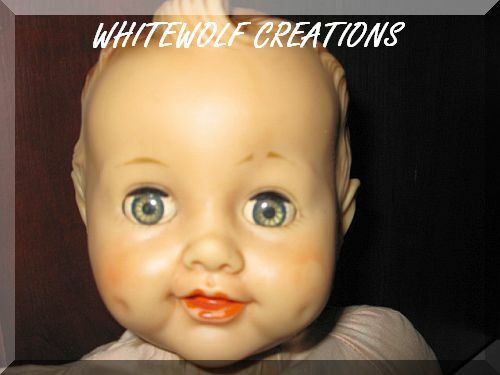 I have searched the internet a bit and have found one similar doll but it didnt state the age. Herewith some picture if anyone can take a look and give their comment about its age. 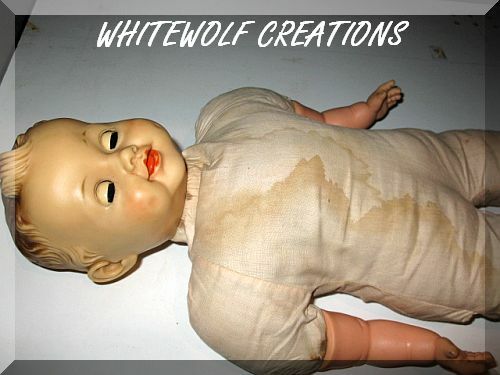 I have taken the clothes of to give you a better idea of the doll. I guess that she's from the late 1950's to early 1960's. 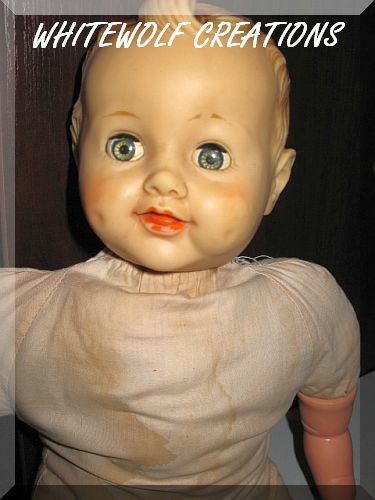 (Am old enough to remember that I had a similar doll!!) Am interested to know what geewhizz thinks because she's the "fundi" with these things! I think this may be made by Ideal toy company. 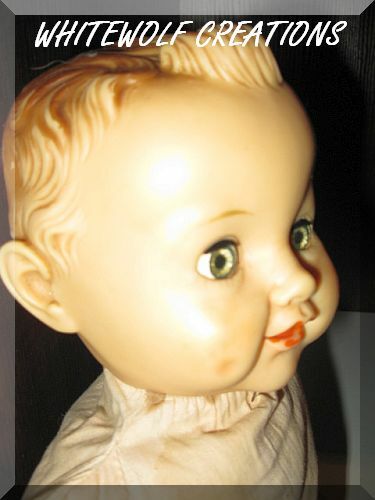 Their 50's dolls often had moulded kiss curls in the hair or waves etc. 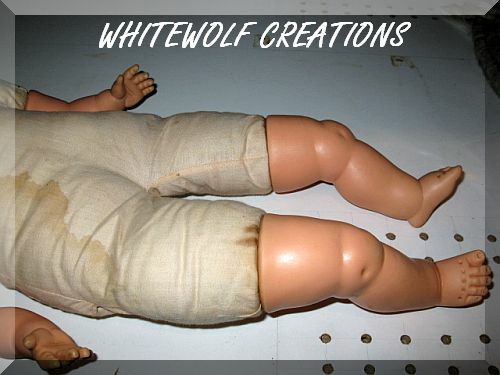 Most dolls do have the toy company name on the back even if it is an initial. However moulds were often used by other toy makers--borrowed legitimately and name not used. Thr Roddy and pedigree made this moulded type hair as well. That is absolutely fascinating - a doll singing "Jan Pierewiet". Are you going to keep it or put it on auction - what does geewhizz think about it? Will be interesting to see if it sells at that price - personally, I think it's on the high side. But good luck.